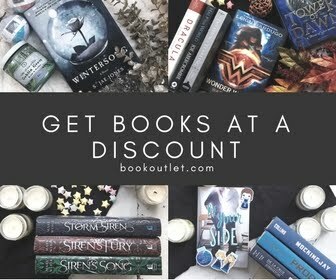 But now that you are a member, and ready to find some good books to read, what do you do? Well, you need to find a group! Now, if you are at all like me, you just shuttered. "Another social media platform where I need to establish myself on? No way!" That was my sentiment for years. I just used Goodreads to find my next book based on the last book I read... I filled in my ratings... maybe did a one paragraph review, and went on with my life. It was fine. And I guess, if you really want, you can just do that. We know that reading is healthy, that it calms the spirit, rejuvenates our mind, and keeps the brain engaged. And yet, with days full of other things, reading gets pushed aside. But what if you were part of a small group of other people who wanted to read more, and would be there to encourage each month? You could get recommendations on the next book to read, and you could share your thoughts on the books you are reading. Would you read more? Probably you would! When you have to report back to an accountability group you are more likely to follow through - this is how weight watchers helps people right? So of course it follows that the same idea will help with reading more. And I have the perfect group for you! 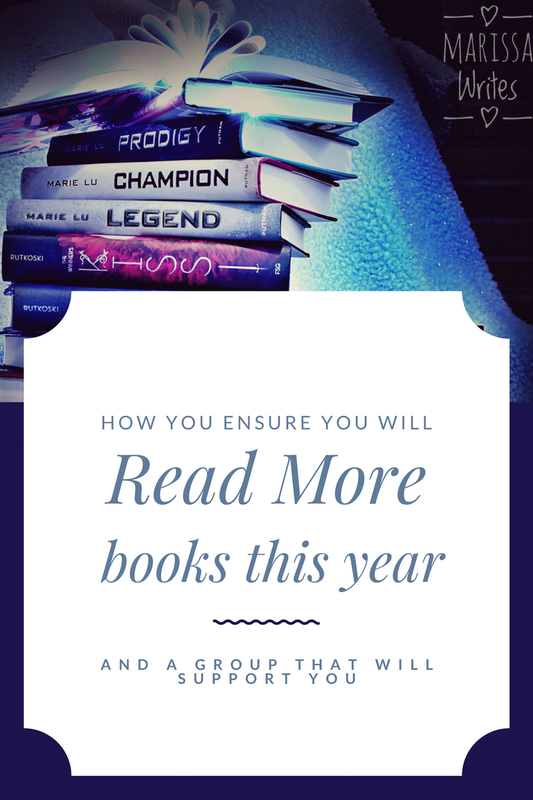 Last year I started a small group on Goodreads just to help others reach their personal reading goals. 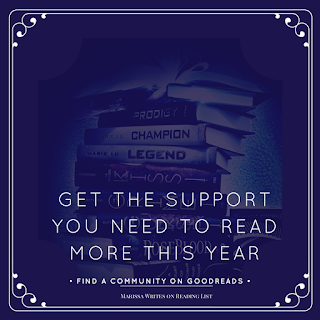 I recommend that you set up a yearly goal with the official Goodreads Challenge. And then, pick out at least half of the books you will read for that goal. And join in our group. Share your goals, and what books you want to read. If you want there are a bunch of great challenges to help you stretch out of a rut or particular genre. 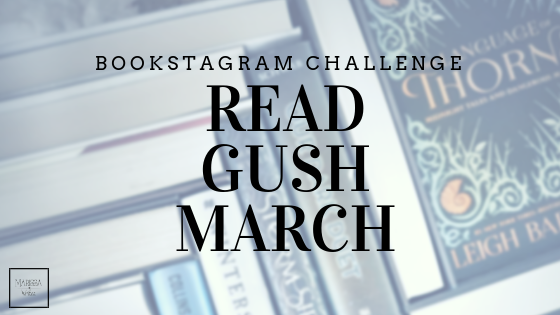 The Modern Mrs. Darcy has put together a monthly challenge every year for a few years now, so you can pick certain genres, or covers or such. But mostly, if you can put yourself into a small community of similar people, all working towards the same goal, you are more likely to reach your own goal. And reading more is a wonderful goal! So now is your chance! Join in my Goodreads group by clicking here. And set up your reading goal for the rest of 2017. And you will certainly read more book this year than you did last year. 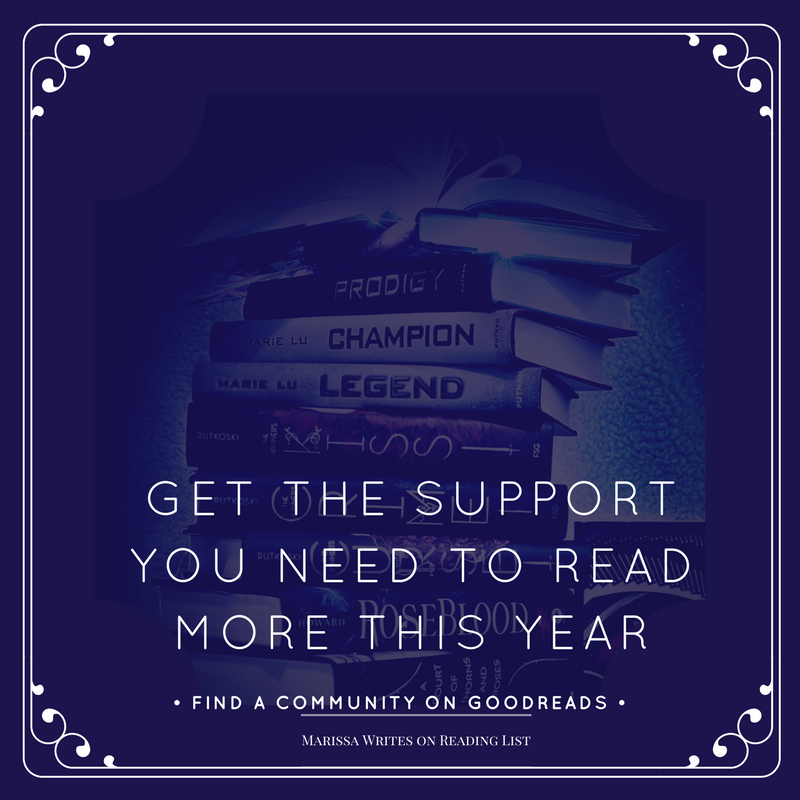 Do you have any questions about Goodreads or a yearly reading challenge? How many books do you want to read this year? How can I help you reach this goal? **See where I'm sharing this post.